Educational use of laser cutters has revolutionised the teaching of CAD/CAM in the D&T curriculum. With high-speed production that produces excellent quality results directly from the machine, teaching staff have the assurance that their students will be able to complete their coursework within the precious time that is available. But this is only the start of the story. Lasers can process such a diverse range of materials that they have opened up new and exciting developments in Design and Technology. Even Food Technology can benefit with imaginative results. 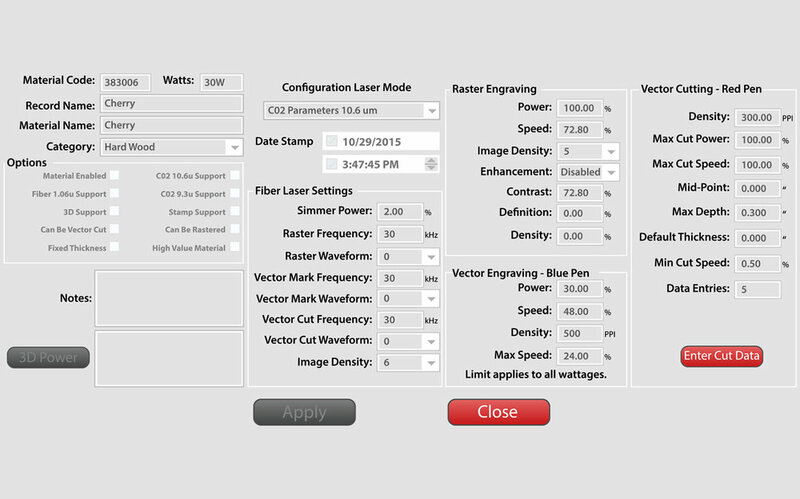 Please view our Materials application gallery where you can explore just a few of the laser application possibilities. The laser control software is installed as a printer driver allowing you to work directly with all leading graphics & CAD packages used in schools such as 2D Design, Corel Draw, Adobe Illustrator & Solidworks. This means that students can easily and quickly learn to process work on the laser rather than having to rely on a single member of staff to process all of the work. This again greatly increases throughput and allows you to get the most out of your laser cutter & engraver. At Solar we have many years experience in the educational application of lasers – we want our customers to take the technology even further. We see our high-quality training as the route to achieving this backed by our high-quality support. We have a range of machines available for our educational customers – machine choice is normally dependent on the space available in the classroom and the budget available for the department. Our VLS Desktop range of laser cutters is a great choice for classrooms with limited space. The laser cutter is normally sat on top of the combined extractor/compressor system resulting in a unit which can easily be positioned anywhere in the workshop. Those looking for larger processing area commonly select the VLS4.60 – capable of housing up to 60W of power. All of the VLS range of machines use the metal Universal Laser cartridges guaranteeing years of continuous output and reliability for the classroom. The popular VLS Desktop has revolutionised compact laser processing. 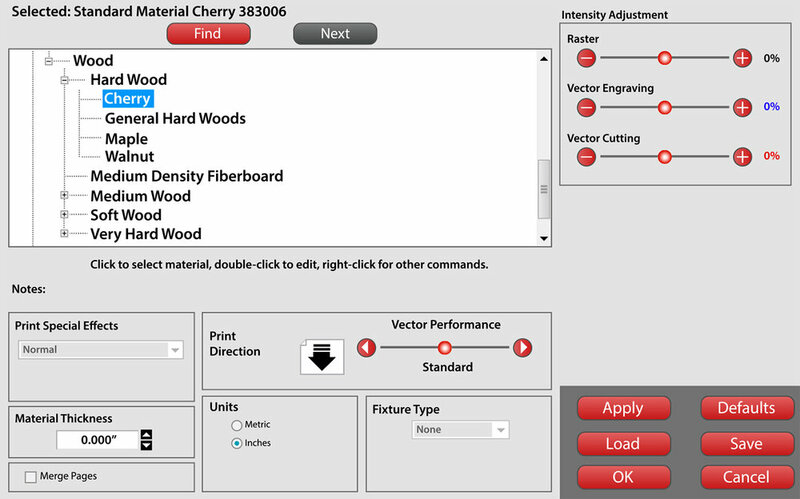 The unique Laser cutter material-database simplifies the workflow making it an ideal choice for new users. The perfect introduction to laser cutting and engraving. The most Advanced flat bed laser cutting solution. This machine revolutionises flat bed laser processing with features such as an air rail carriage support replacing conventional bearing technology. Suitable for high speed processing that also demands accuracy & repeatability.